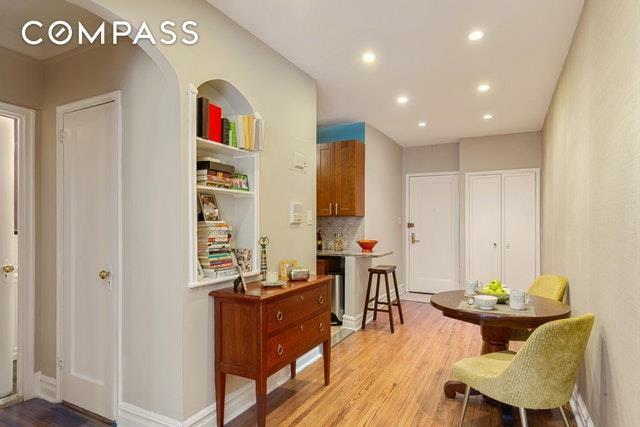 Prewar charm and perfect location in Prospect Heights! 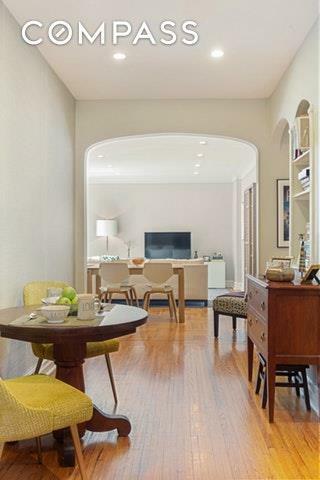 This lovely Art Deco cooperative with 1 bed plus den or office (currently used a 2nd bedroom) is located in the heart of the historic district,and was early on voted as one of the BEST BLOCKS in New York City! Enter the spacious entry foyer that can be used as either a dining or office area. Relax in the oversized living room with a set of cheerful southern facing windows. Enjoy the modern kitchen with its custom, cherry cabinets and stainless steel appliances, and relax in the extra-large master bedroom with tranquil northern and western exposures (with room enough for a king-sized bed and more). An additional corner home office makes a perfect den or second bedroom/guest room. The expansive proportions of this home can only be found in Art Deco buildings of its era. Multiple closets, high ceiling, crown moldings, arched entry ways, and herringbone parquet floors add to the warmth and functionality of this home. This well-maintained building features a part-time doorman, an elevator, central laundry, additional private and bike storage and common courtyard. 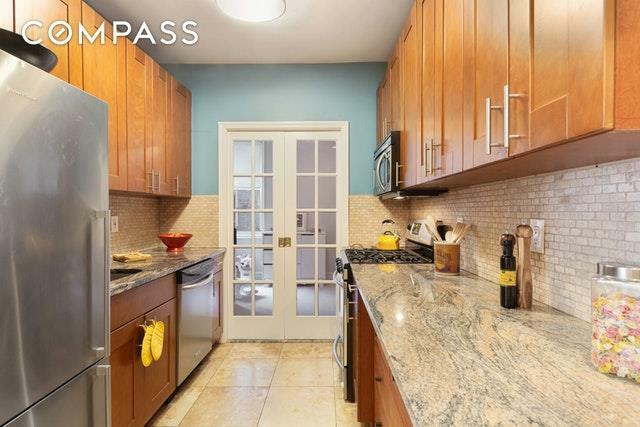 Near every possible amenity Park Slope and Prospect Heights has to offer! 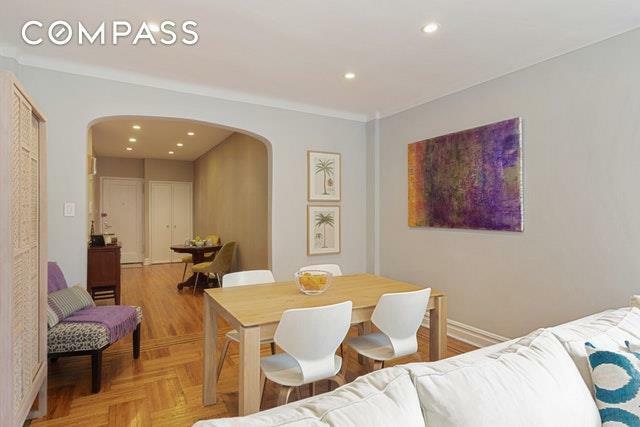 Close to the best restaurants, shopping, groceries, Farmer's Market, Prospect Park as well as the B/Q, 2/3 express trains. Pets are welcome! Listing courtesy of Elizabeth Pizzulli of Compass.